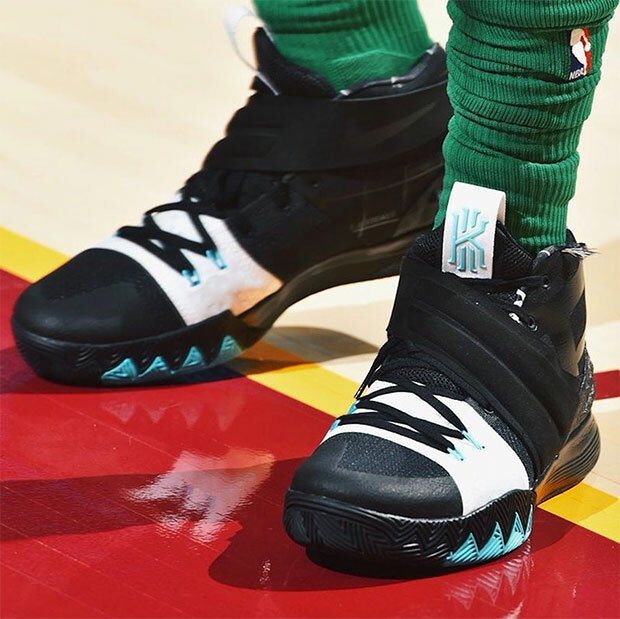 Taking the “What the” theme to new levels, Kyrie Irving debuted a sneaker last night that combined not the colorways of previous releases, but the actual designs from all three of his signature shoes. 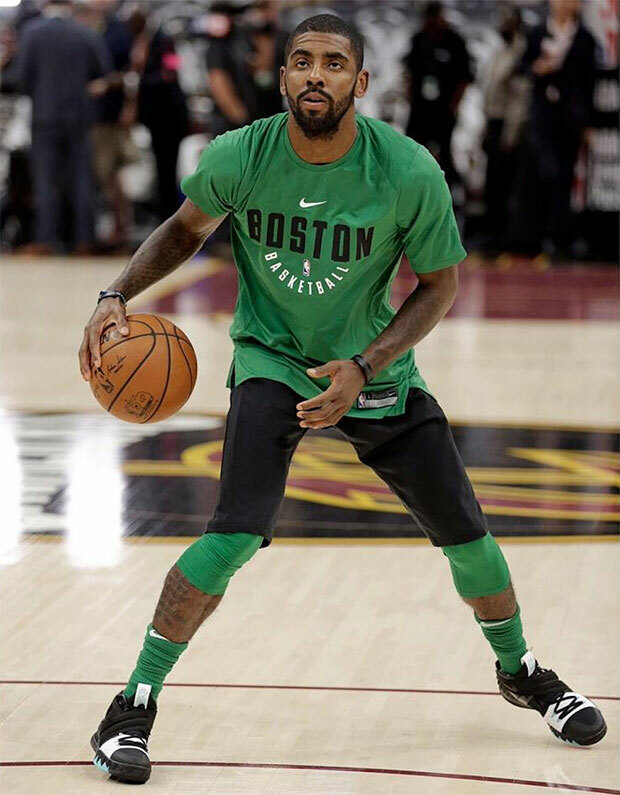 The unexpected sneaker was given its world debut by Kyrie during pre-game shootaround last night before the Cavs vs. Celtics matchup (he switched to the shamrock toe Kyrie 3 PE for the game). It features the sole and textured heel counter of the Kyrie 1 and an upper that combines the strap of the Kyrie 2 with the Kyrie 3 at its base. 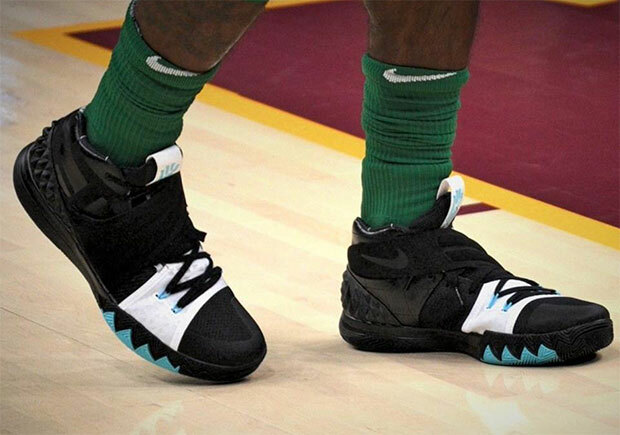 The existence of the shoe came as a surprise to everyone when Irving broke them out last night, so there’s no word yet on if the “What the” Kyrie will see a retail release or remain a special edition just for Kyrie himself. Stay tuned to Sneaker News for any updates.